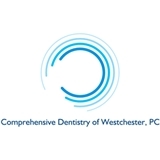 Comprehensive Dentistry of Westchester PC (White Plains) - Book Appointment Online! I'm glad i found this place. I have been looking for for a good dentist for the longest. The receptionist is very courteous, the dental hygienist is kind and make you feel comfortable and the doctor is caring and compassionate. I would recommend this dental office to anyone looking for a place where patient comfort is a priority.